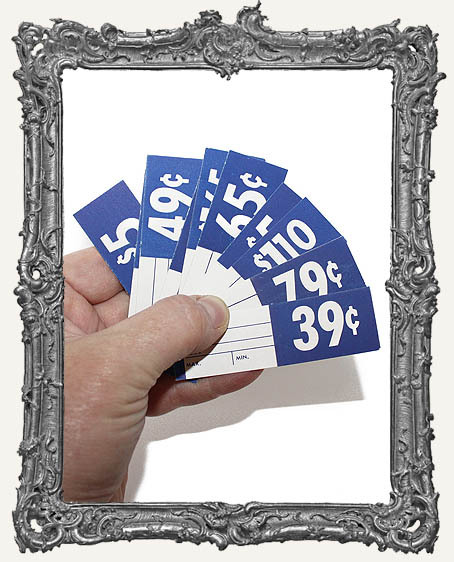 * You will get 10 awesome light cardstock weight vintage price tags! * Your tags will be randomly selected. These are so cool for collage! They are perforated in the middle if you only want to use the price portion, or use the whole thing. You can also write fun things in the blank sections! A definite must have for collage and assemblage! 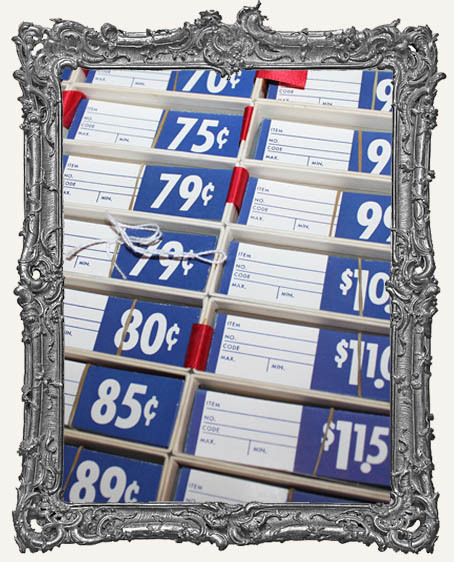 * Each tag measures 2-3/4" x 7/8". * They are all in excellent vintage condition. * Find more in the Vintage Finds section here.